We ave covered the issue of baby bottles with the disruptive chemical Biosphenol-A in them probably a million times. The scientific consensus is that polycarbonate plastic baby bottles are safe. There shouldn’t be any room for confusion or fear on this. FDA has confidence that no safety concerns exists for BPA in regulated food contact materials. Furthermore, FDA has determined that the polycarbonate-based baby bottles and BPA-based epoxy coated cans used to hold infant formula is safe. 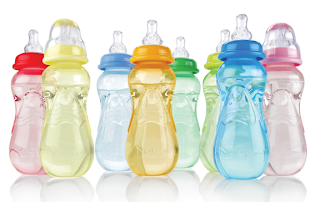 Regardless of what the JPMA and FDA think, the Canadian Government is concerned enough to announce today that it intends to ban the import, sale and advertising of baby bottles with the controversial chemical bisphenol A. “Although our science tells us that exposure levels to newborns and infants are below the level that cause effects, we believe that the current safety margin needs to be higher. We have concluded that it is better to be safe than sorry,” Health Minister Tony Clement said. Several major retailers – including Canadian Tire, Sears Canada, Wal-Mart Canada, Hudson’s Bay Company and Rexall Pharmacies – have already pulled products with BPA from their store shelves in anticipation of today’s announcement. Retailers say demand is drying up for baby products with the controversial chemical. It is about time that someone, besides California, took a stand and said if there is a possibility that this chemical could cause issues – we don’t want the future generations of our country being affected by it.